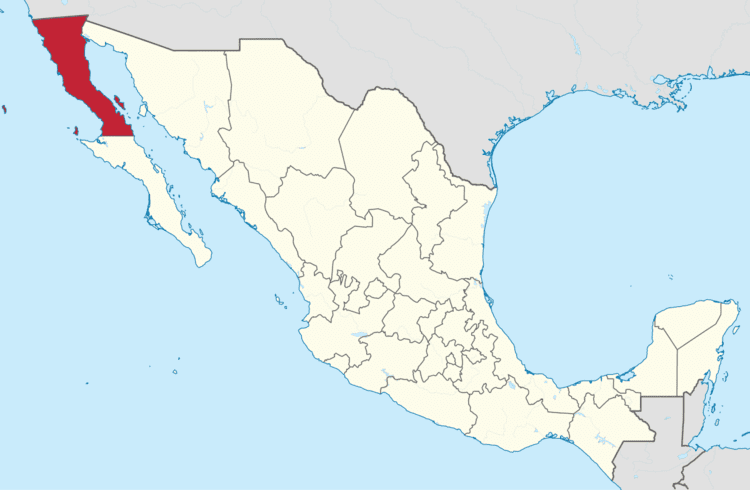 Baja California ([ˈbaxa kaliˈfoɾnja]), (English: Lower California), officially the Free and Sovereign State of Baja California (Spanish: Estado Libre y Soberano de Baja California), is a state in Mexico. 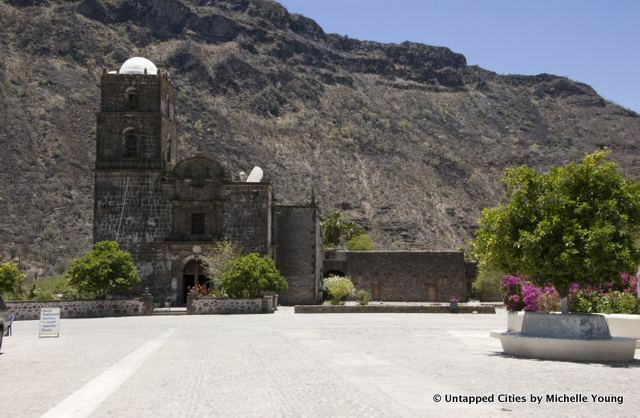 It is the northernmost and westernmost of the 32 Federal Entities of Mexico. 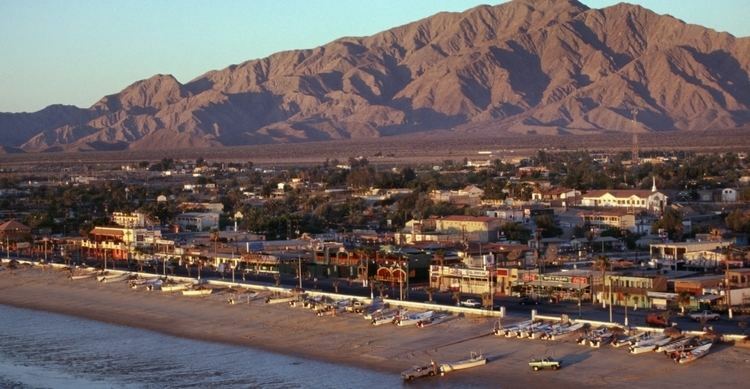 Before becoming a state in 1952, the area was known as the North Territory of Baja California (El Territorio Norte de Baja California). It has an area of 70,113 km2 (27,071 sq mi), or 3.57% of the land mass of Mexico and comprises the northern half of the Baja California Peninsula, north of the 28th parallel, plus oceanic Guadalupe Island. 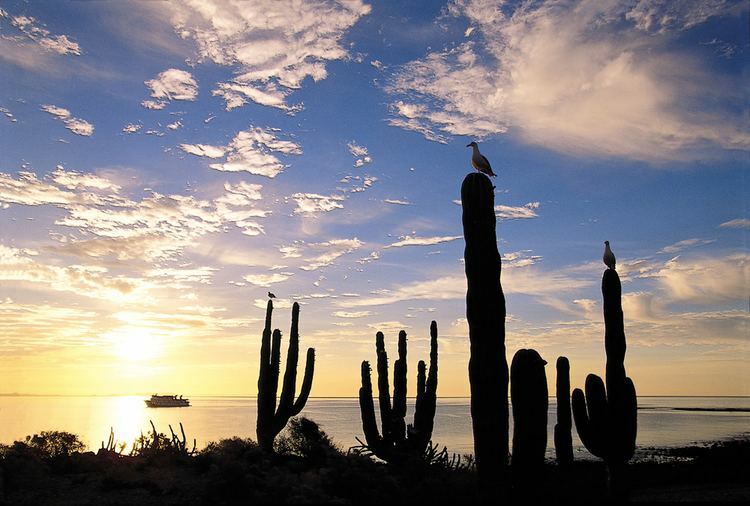 The mainland portion of the state is bordered on the west by the Pacific Ocean, on the east by Sonora, the U.S. State of Arizona, and the Gulf of California (also known as the "Sea of Cortez"), and on the south by Baja California Sur. Its northern limit is the U.S. state of California. At 3:40:41 pm PDT on Easter Sunday, 4 April 2010 a 7.2 M w magnitude northwest trending strike-slip earthquake hit the Mexicali Valley, with its epicenter 26 km southwest of the city of Guadalupe Victoria, Baja California, Mexico. The main shock was felt as far as the Los Angeles, Las Vegas, Phoenix and Tucson metropolitan areas, and in Yuma. At least a half-dozen aftershocks with magnitudes between 5.0 and 5.4 were reported, including a 5.1-magnitude shaker at 4:14 am. that was centered near El Centro. As of 6:31 am PDT, 5 April 2010, two people were confirmed dead.